Hello, welcome to our website! The Miss Apopka Scholarship Pageant was initiated by Suzanne Land and Nancy Blalock. They approached Eltha Mark who was the President of the Apopka Woman’s Club at that time. They wanted to turn the club’s local Miss Apopka pageant into a Miss America Pageant preliminary pageant. The club agreed to provide the umbrella that the pageant committee needed until they could obtain their own charter and incorporate. Eltha appointed Stella Swanberg, Diane Lewis and Joan Alsup as Woman’s Club representatives. 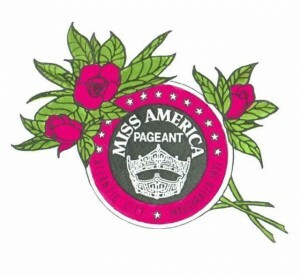 That was 1977 and at that time the pageant was called the Miss Apopka Foliage Pageant. Later on, it became the Miss Apopka Scholarship Pageant. We have had five former Miss Apopka’s win the Miss Florida crown. (Unfortunately, not competing as Miss Apopka.) Over the years, close to $100,000 has been awarded in scholarships. Our Miss Apopka’s have become teachers, entertainers, an engineer, businesswomen and more. Joan Alsup is the only original member who is still active on the committee. We are very proud of the fine young women who have represented Apopka as our titleholders. Our president Rosali Morris has given so much of her time and talent by helping each new titleholder prepare for the opportunity to become Miss America. On December 9, 2018 we lost a valued member of our committee, Tommy Harrison. He was our treasurer and cherished as an outstanding community leader, devoted husband of sixty years, father of four, grandfather, and 30 years of Air Force service to our country. He loved our pageant and made sure that the young ladies competing were paid their scholarships on a timely basis. If there was a monetary question, he solved it. His contributions to our committee were enormous. He has left a hole in our hearts and will be terribly missed. A truly great man.